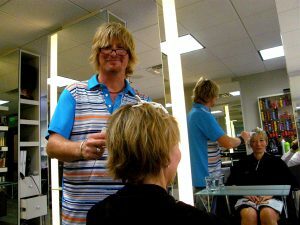 It’s a sunny afternoon, and Norm Wright is doing highlights for two women who are reading magazines as sun pours in through the second-floor window of TAZ Hair Co. in Bloor-Yorkville. 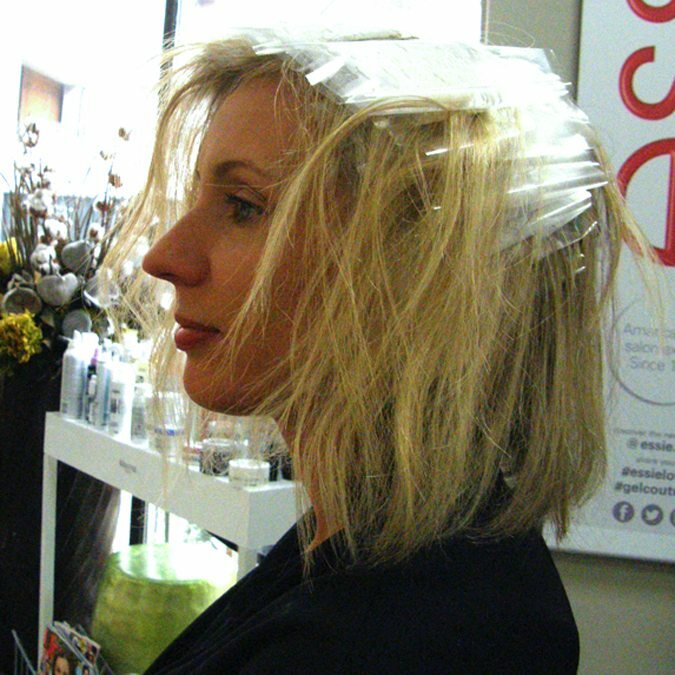 In most other salons, you might be able to see the sharp reflections of sunlight in small folded pieces of tin foil in the clients’ hair, filled with colour paste. But here, there is no tin foil in sight. Norm shows me the product as he starts colouring hair, one group of strands at a time. It’s light, completely transparent, and after a quick clean-off, can go in the green bin. It will break down into CO2 and water in 6-7 weeks, fast enough that it might be decomposed before his client is back for her next colour touch-up. Even though foil can be recycled, 300 tonnes of bauxite is still mined every year to meet demand, creating toxic waste during processing. Biodegradable Beauty on the other hand, is made from an ingredient that is both edible and renewable: corn. Learning to use a new material, instead of tin foil, Norm says, was easy. “It’s all about developing a comfort level with the material you decide to use. The first time, I used plastic-wrap, it looked like a ball of unorganized mess. But now, I can fold a sandwich into origami.” After trying at least 30 different formulations, Norm is confident in Biodegradable Beauty’s abilities. It’s easier to cut into stencils than foil and since it’s clear, he never has to open it to check the colour. Norm and Frank’s invention isn’t the only environmental change in TAZ. The salon, along with 6 others in Bloor-Yorkville, is a greencircle salon. Norm shows me the box where hair clippings are collected to be used to help clean up oil spills, since greencircle’s four feet long “hair booms” are one of the best ways to clean up heavy oil. The empty colour tubes on Norm’s bench and the left over paste in his bowl will be collected and recycled by greencircle or used as fuel to create energy. 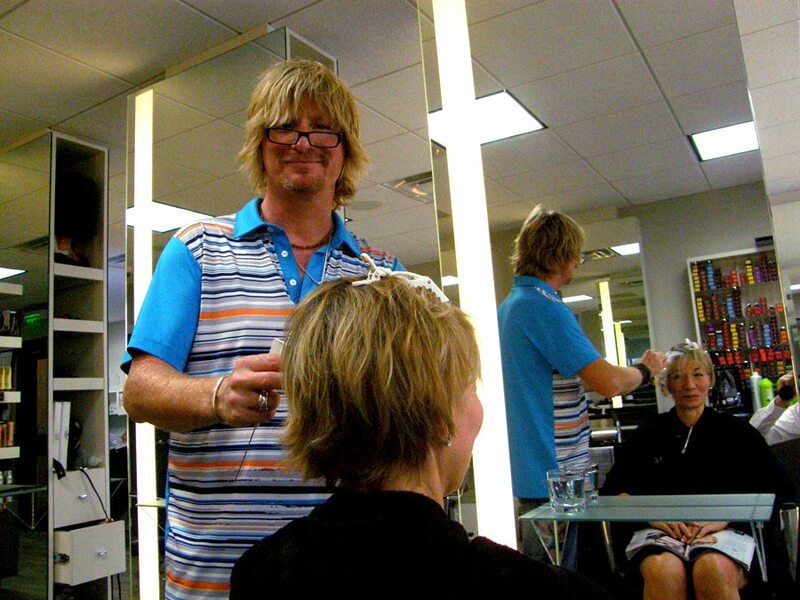 Even the salon chatter has a purpose. “We can talk about whether we’ve finished all our Christmas shopping, or the weather, or we can use this time to share responsible information with people” Norm says. Helping the environment is a conversation Norm wants his whole industry to have. “The Beauty Industry, as a whole, is slowly implementing a sustainable infrastructure, but it’s not happening fast enough,” Norm says. 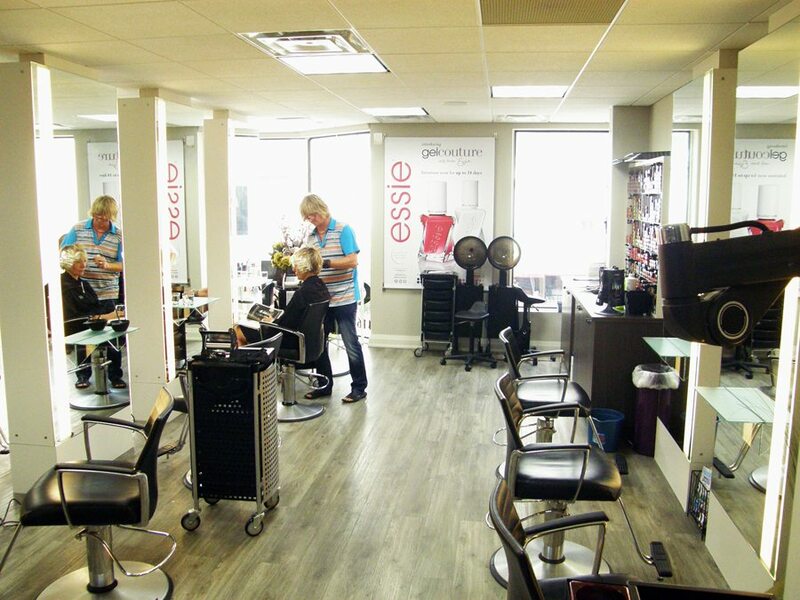 He has some allies: “Companies like L’Oréal—L’Oréal just pledged worldwide to remove 60% of their carbon footprint by 2020.” Other Bloor-Yorkville salons are getting on board, including Donna Dolphy, who has just started using Biodegradable Beauty as well.